They don't think customers care about sustainability. That's our cue! Sustainable Fish at Yuubi Sushi! 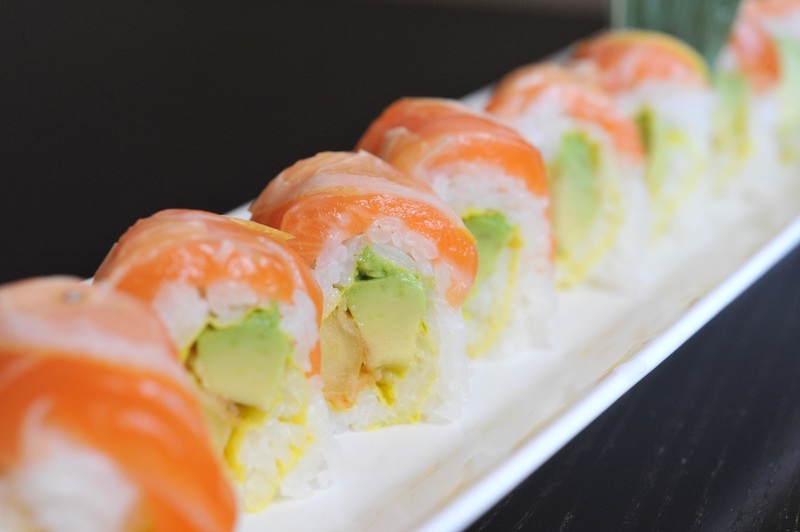 Buy a $30 voucher for Yuubi Sushi, Inner Richmond’s premier sushi restaurant, and 40% of all Carrotmob sales will go towards creating and expanding a new sustainable seafood program. Redeem your vouchers any time you want. Yuubi Sushi is at a crossroads. They may decide to make a huge commitment to sourcing sustainable fish, or they may not. After talking with us, they have agreed to start with a 3 week pilot period during which they will source a more expensive and more sustainable fish option, Arctic Char. They ARE very excited about pushing as far as they can with sustainability, and they DO want to do as much as they can to protect the oceans, but they are NOT convinced that customers really care, or are willing to pay for sustainability. If we don’t support Yuubi through this campaign, we will prove them right, and they will switch back to a less sustainable fish option in 3 weeks. But if everyone who cares about sustainable fish buys vouchers to eat at Yuubi, we will convince them that customers DO care. 40% of every dollar spent through Carrotmob will be invested in supporting and expanding the sustainable seafood options that they serve. Let the market speak and people be heard. You can buy as many vouchers as you like. Your vouchers will never expire. You can spend them on any of Yuubi’s offerings. You will get a voucher which you can either print out and bring to Yuubi or you can present your voucher right from your mobile phone’s web browser. You need to use the entire $30 value in one visit. The voucher does not cover gratuity. 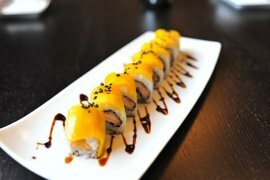 Yuubi Sushi is the Richmond District’s premier sushi and Japanese restaurant. Today, Yuubi Sushi is at a crossroads. They may decide to make a huge commitment to sourcing sustainable fish, or they may not. After talking with us, they have agreed to start with a 3 week pilot period during which they will source a more expensive and more sustainable fish option, Arctic Char. They ARE very excited about pushing as far as they can with sustainability, and they DO want to do as much as they can to protect the oceans, but they are NOT convinced that customers really care, or are willing to pay for sustainability. If we don’t support Yuubi through this campaign, we will prove them right, and they will switch back to a less sustainable fish option in 3 weeks. But if everyone who cares about sustainable fish buys vouchers to eat at Yuubi, we will convince them that customers DO care. 40% of every dollar spent through Carrotmob will be invested in supporting and and expanding the sustainable seafood options that they serve. We recommend ordering the sustainable Arctic Char when you use your Carrotmob voucher at Yuubi before the campaign ends to send a signal to the restaurant. Let the market speak and the people be heard. Open for lunch daily 11:00AM – 3:00PM. Open for dinner, Sun-Thurs 5:00PM - 10:00PM, Fri-Sat 5:00PM - 10:30PM. Phone: 415-386-2011. Learn more. Free valet parking, delivery, and take out provided. Near MUNI lines, 31, 38, and 1.